I was recently employed to install a couple of these Master combination deadbolts for a customer. These deadbolts perform a keyless entry function for mutual access to authorized staff, but they also are available to be keyed to the customers existing master key system. I always recommend customers purchase the key override function, to provide entry in case batteries go flat or emergency mechanical access is required. The installation was quick, straightforward and painless except that the weather started to get rough. It is said (somewhere) that a website is best measured by it's success at being found. I use Google Analytics to measure the depth of this sites penetration into the world wide web. 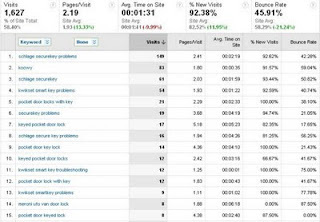 GA gives an unbiased statistical report of your site's effectiveness at being found. It does seem that this site is beginning to be found more often by searchers seeking answers to their inquiries or questions. This makes me happy to see the fruits of my labor (writing the content) actually benefiting someone. March 2011 proved an interesting month with some varied results from last month. 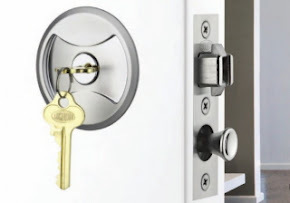 As popular as ever and continuing to increase it's presence, is our article on Schlage Securekey Problems. This month, Koowy starts to become more popular. 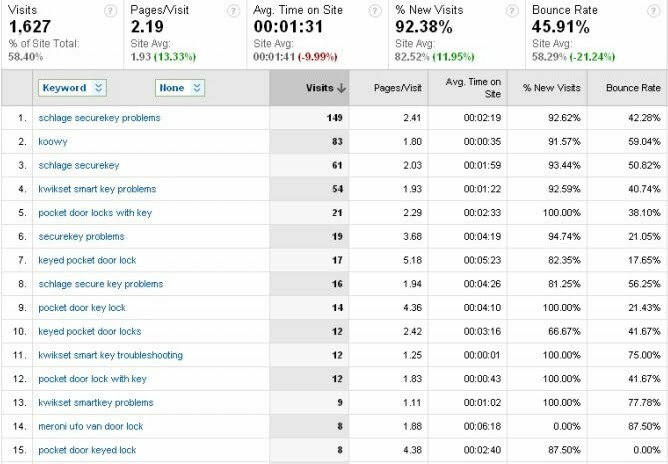 Kwikset Smartkey Problems continues to impress with it's hierarchy in our statistics although the quantity of searches in comparison to Schlage is significantly less. I suggest that this may be because the Kwikset locks appear to suffer from less problems. Whereas I am loathed to recommend the product line because it is NOT secure, I think it is better than the Schlage comparison. 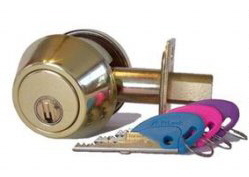 As you can see in the table, our articles on Pocket Door Locks With Key continues to impress. It is most likely because competing product lines are not as stylish, simple and easy to install or as competitively priced. The results for March are indeed impressive, in my opinion. 1627 visits : 2.19 pages per visit : 45.91% bounce rate. The bounce rate is an important indicator because it proves that searchers are not just staying on the landing page, rather they are finding the landing page of enough interest that leads them to visit other pages. April is proving slightly different results, wait and see. Breaking News: Many leading manufacturers of security products in the USA are planning to raise prices in the next 3 months. Master Lock, American Lock, Sargent & Greenleaf and HATA are just a sampling of manufacturers raising their prices. Concerned consumers should consider pushing up their planned purchase date for these product lines to beat the price increases. The weakness in the US Dollar is partly to blame, but I think it is more to do with oil prices. Oil and oil derivatives are used in many materials and machinery required to produce many parts. Unfortunately, if and when oil prices do decline, manufacturers rarely reduce their prices, so the new prices are most likely to stay (if not, continue to increase). The Ultralatch by Soss, is another design similar to our popular Meroni entrance hardware. Soss products are proudly manufactured in the USA. Similar to the award winning Italian door hardware manufacturer Serrature Meroni, Soss have developed their own version of the ergonomical entry handle. As the above video displays, the hardware is easy to use, convenient and aesthetically pleasing. Soss Maufacturing company was founded by Joseph Soss in the late 19th century. Born Joseph Schloss in 1863 to Romanian parents, he decided to pursue his dream abroad and emigrated to the America's. A bricklayer by trade, he began in Montreal in construction. He saved up enough money (working for $2 an hour) to eventually bring his wife and infant daughter over. They migrated to Cleveland Ohio in the 1890's after the birth of their second daughter. The Cleveland immigration officials renamed him Joseph Soss. At that time, Cleveland was a rapidly growing city but after hearing about the State of Montana's desire to build a capitol building, he eagerly bid for the project, winning the bid and moving to Montana. In 1902, after completing the Montana State Capitol building, he decided to move his family to Butte to build schools for the rapidly growing city. In later years he pursued business interests in the Philippines, but after the sudden passing of his business partner, he packed up and went home to Butte. While aboard ship, he stumbled on a protruding hinge and came up with the idea of concealed hinge. He patented the hinge and built a manufacturing company to produce it. Soss Manufacturing ceased being a family business in 1939 and eventually the company was renamed Core Industries. Core Industries was later swallowed up by United Dominion Industries in 1997. That same year, Neil Marko of Universal Industrial Products in Pioneer Ohio bought the rights to the Soss hinge and today continues to produce it to the same quality that has seem the product installed at pre-eminent buildings like The White House and Buckingham Palace. 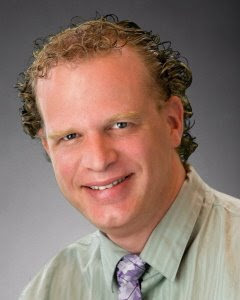 Neil Marko is the great-grandson of Joseph Soss. The Ultralatch is a new product that they developed and now produce in Ohio. The residential security market is an ever changing and growing market. More and more unique products are surfacing that may enable residents to better protect themselves, their families and their properties. In past articles here, we have discussed a number of products that are designed to prevent door kick ins. The Strikemaster 11 Pro is our favored product for securing a residential entry door from the instance of door frame failure, the symptom that occurs when someone tries to kick the door down. 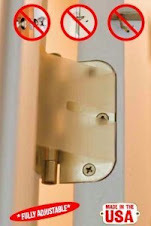 It allows the door to be secured when you leave your home or dwelling. 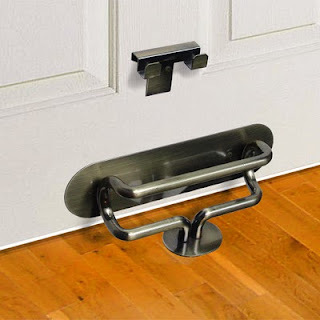 A few days ago we posted a video about the OnGard door brace. A unique product designed primarily to thwart door kick-ins, while you are home, effectively thwarting home invasions. While the product is indeed a revolutionary idea and made from the highest quality materials, we recently came across another variation of the product from a well known manufacturer of other security products. The Door Club (pictured above), effectively does the same thing as the OnGard brace system. It is a competitively priced option that may appeal to consumers for it's aesthetic appearance and simplicity of use/storage. It is easily installed by drilling one hole into floor surfaces such as wood, ceramic, carpet, tile, marble and granite. The Door Club is designed to withstand two tons of direct force, enough to keep would be intruders from kicking the door open. Easily installed, the device comes with all installation hardware and instructions, including the mounting storage bracket that attaches to the door itself.